The hectic weekend of nearly 800 Kms on the road and irritating delays at the toll booths on the way back was offset by the usual awesome experience of the trail and organisation of the 10th Auroville marathon on 12th February. The icing on the cake of 1:46:28 HM (my 3rd fastest ) and time spent with siblings made for a good weekend break! 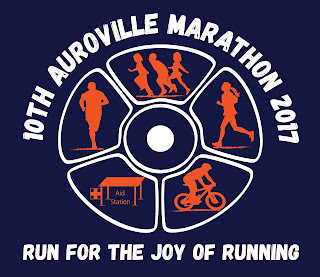 After running the FM in 2009, 2010 and 2011 and the HM in 2012 and 2013 I skipped Auroville in 2014, 2015 and 2016. In these years I ran fewer races due to injury. Auroville marathon is unlike other larger commercial races - the entry fee is relatively low, there is no timing chip or even manual timing or finishers certificate and the finisher's medal is handcrafted. 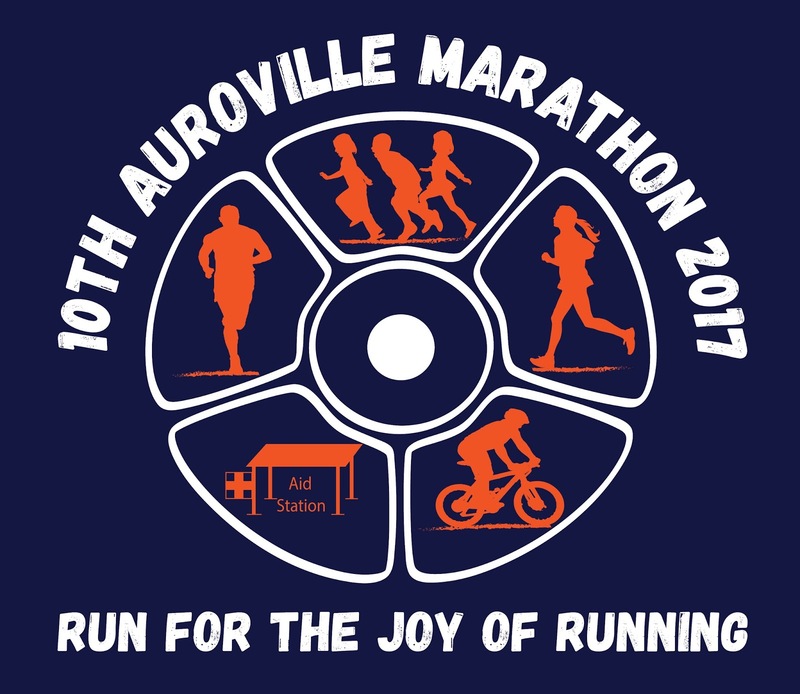 That is , it is a special race where one runs for 'The joy of running' . The experience is highly recommended to those who have not yet run it. Personally I hope to continue to run it at least every 3-4 years. 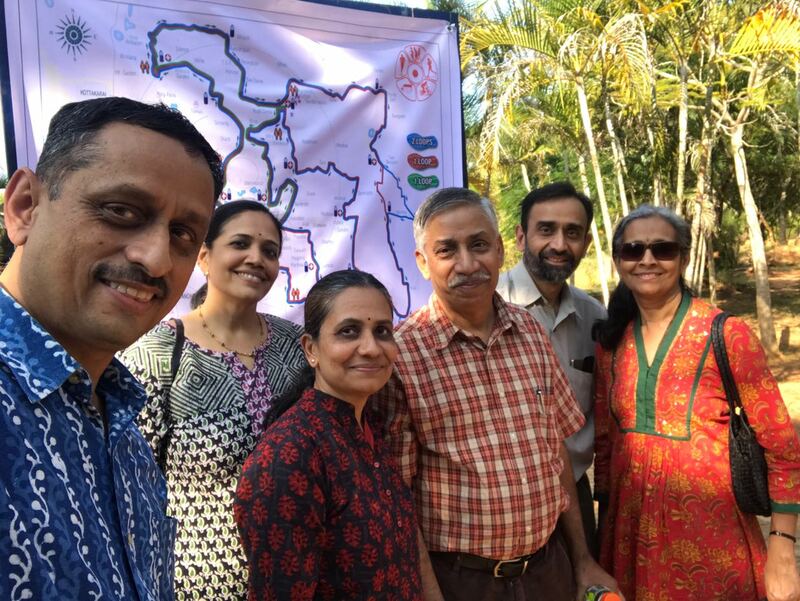 We left on Saturday morning around 7:25am from Domlur and reached our breakfast stop of A2B between Hosur and Krishnagiri at 8:45am. After a stop of lunch at Vasantha Bhavan in Tindivanam we reached Auroville at about 2:45. The road was mostly good though it was undivided state highway from Arcot to Tindivanam. After collecting the bibs and tea/coffee at the visitor center we checked into Hotel Shenbaga at 530. Strolled down the promenade along the sea , had dinner at A2B and got back to the hotel by 9PM. Next morning left the hotel at 5:25 am and reached the visitor center at 5:50am. After using the restrooms inched my way towards the front of the starting line by about 6:10. There seemed to be over thousand HM runners and there were no corals. So it was a crowded , slow start for the first 500m. Till the morning of the race I had decided on my strategy or target pace. 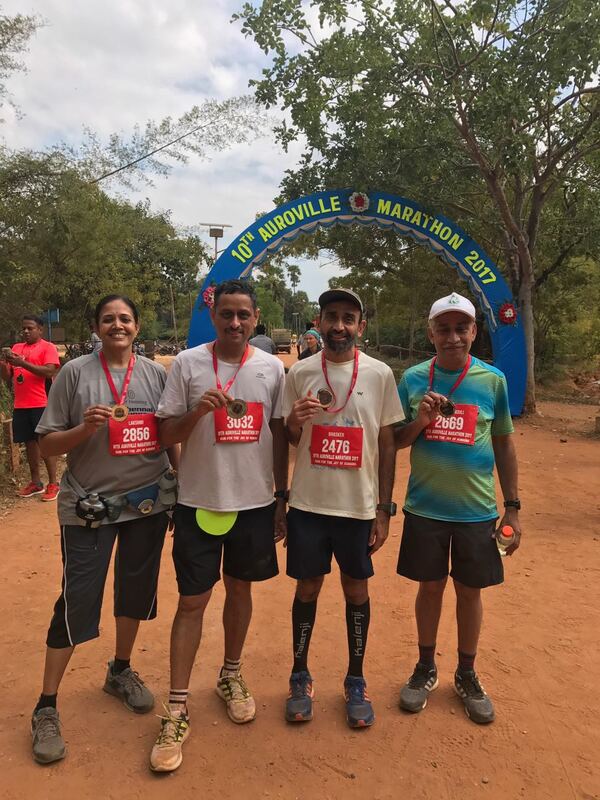 As nether of my brothers were targeting a specific goal that I could have paced them for the options were to do a moderate pace run between 1:55(the time at KTM 2016) and 2:00 or push hard to go below 1:50 and as close to 1:45 as possible. As I felt quite good after a couple of Kms I decided to go for the latter. The 1st Km was the slowest at 5:17. Only a couple of other Kms were slower than 5:10 pace. With Gopal of the Samarpan gang for company from about Km 6 ran a steady pace race with a fast 4:49 21st Km. Very satisfied with the time. Was apprehensive of the couple of extra Kgs of weight(57 versus ideal of 55) and the left calf and sole. Neither was an issue in the race. The temp between 20 and 22c, lower than expected humidity and partly cloudy skies also helped. 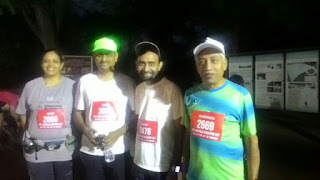 Chatted with lots of runners at the finish area while waiting for Chandru, Mahesh and Lakshmi. 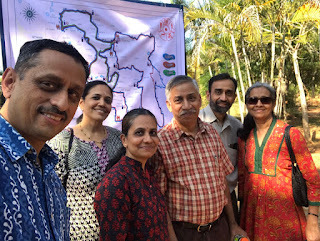 After the pongal vadai breakfast and a few more photos we returned to the hotel at 1030. Checked out at 1230 and started driving back around 1245. 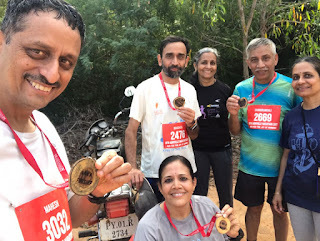 After a lunch break at Aryas(on the highway between Pondicherry and Tindivanan) and tea break at A2B in Vellore we reached Domlur at 845PM - tired but satisfied with the enjoyable run weekend! !